Here, the best platform possible for Workflow Diagram users to realize their creative potential is provided, with all necessary tools to customize Workflow Diagrams. Abundant templates and examples are available for free download. 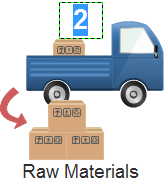 Though Edraw has included as many examples as possible, some users are really creative when creating workflow diagrams through Edraw and need to customize their Workflow Diagrams. Amazingly, Edraw offers various ways to achieve this purpose. The simplest and fastest way to customize your Workflow Diagram is to apply one of the preset styles from the Page Layout menu. There are 16 themes in total for your option. 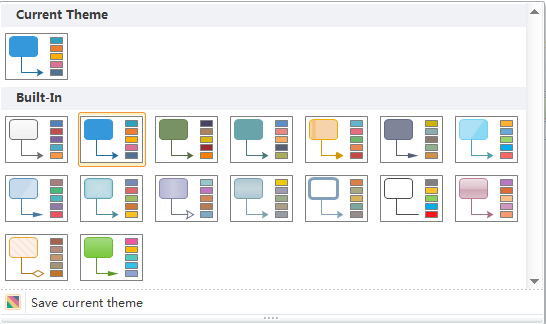 These themes will surely work magic on your Workflow Diagrams. With just two clicks, a theme automatically enhances color, line style and font, in an instant. Go to Page Layout menu. -> Click the drop down menu of Themes. -> Choose one preferable theme. 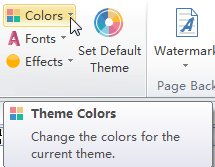 To change the color, use the Theme Color palette on Page Layout menu. Another way is to use Pencil Tool. It helps you add free-form shape at your own will. To see more detailed explanation of how to use pencil tool, read Drawing with the Pencil Tool. If you want to diversify methods to show direction besides auto connection, you can apply arrow shapes or arrow connectors. The arrow shapes library opens along with workflow templates. Click its title on the Libraries pane when you need them. As for the arrow connectors, find them by the following these steps: Click the Libraries button, choose General and then select Arrow Connectors. -> Drag a suitable Arrow Connector out and place it between the two shapes you want to connect. -> When the connection points turn red, it means they are connected. -> Resize the arrow to coordinate with shapes by dragging its selection or control handles. When connecting shapes in different rows, choose Elbow Arrow when it is more suitable. They work better when the under row has less shapes than the upper row. In this way, you can enter more description inside the connectors. If each step is numbered, the sequence will be clearer. 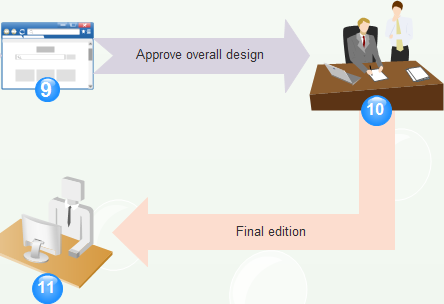 Readers can know how many steps in total are required in a workflow at one glance. You can find Number symbol in the Symbol library in Illustrations group. After you open this library, drag one symbol towards one shape. When the connection points turn red (showing they are already connected), release the mouse. Double click the symbols to enter right numbers.